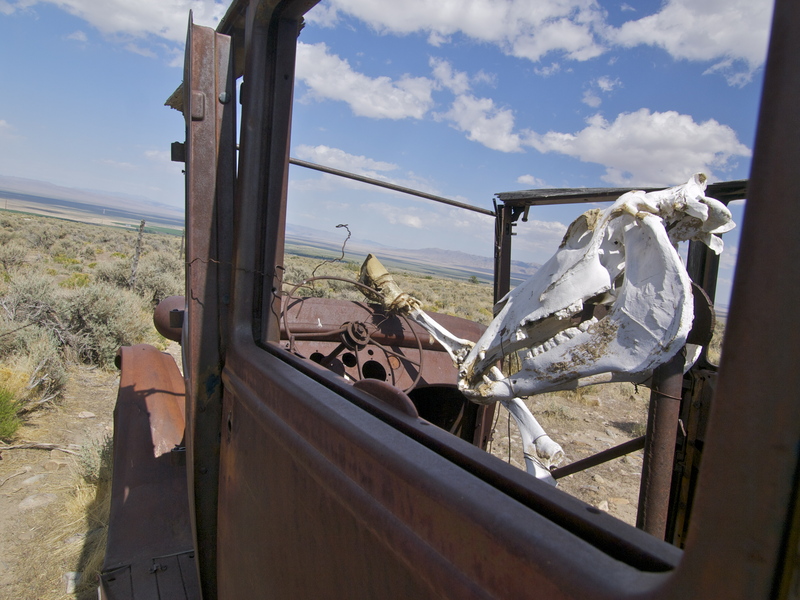 Great Basin Relic… what’s that behind the wheel? Nobody ever thinks of Nevada. Even if you do, you probably just think of Las Vegas, which is as far – both geographically and aesthetically – from the rest of this wide open state as it’s possible to get. Nevada is dominated by basin and range topography: big open basins alternating with high mountain ranges, all marching north to south across the state. The drive from east to west on Highway 50 – nicknamed the Loneliest Highway in America – takes you up and over 7,000-foot mountain passes and then down onto wide open basins, over and over, all day long. It’s paradise on wheels. Good god! This was so gross – there’s still hair on those hooves! – and yet so awesome. Yesterday I stopped at Great Basin National Park – one of the last major parks in the West that I hadn’t yet hit – and found this treasure just north of the tiny town of Baker. 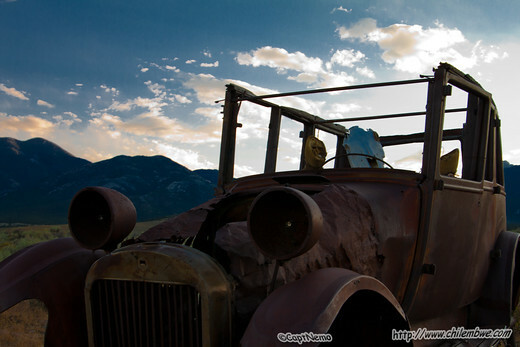 At first I thought it was just a cool old car junked out in the sage, but as I walked closer, I saw something behind the wheel… These might be some of my new favorite photos, ever! Nice to see you again, Nevada! 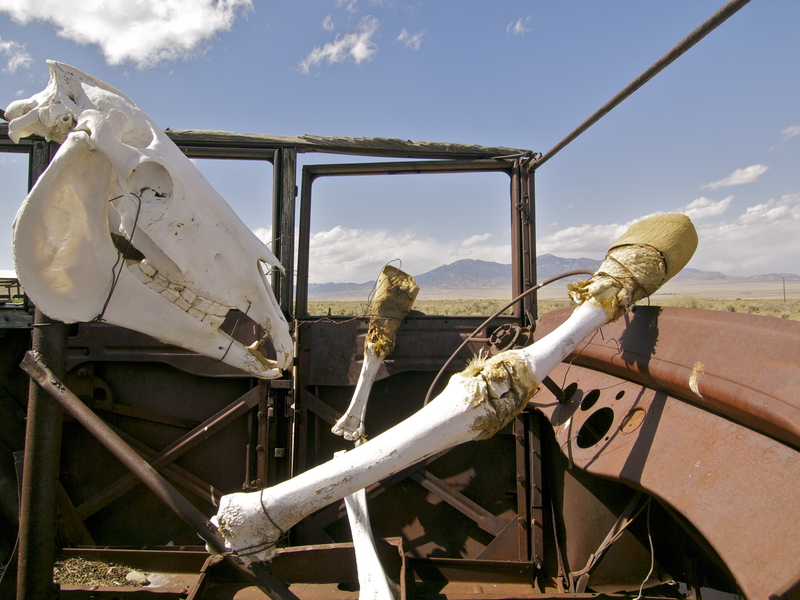 For more on road tripping across Nevada, check out my previous post the Extraterrestrial Highway! Hi there. Just like to ask u something? Sure. Email me at theblondecoyote@gmail.com. Thanks, just wanted to know how many miles do u travel in a month? Shucks, that is a ,lot of traveling. But, at least u get to go to places some of us just dream about. Did you get to see the fireflies? They are found in the wetland meadow near the lower campground…one of just a few places in the west where fireflies live. ps. The cave is pretty cool too. Nope, I didn’t camp there. If I had known about the fireflies I might have though! I grew up in Pennsylvania, firefly heaven, and I miss seeing them in the summer! Hi! 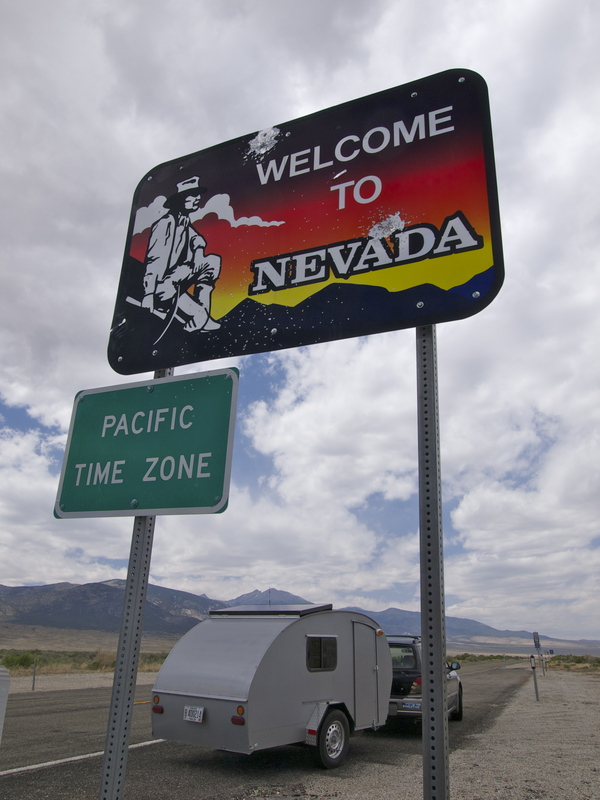 I am from Europe, so my association with Nevada is not Las Vegas, but “desert”. Cool pictures! 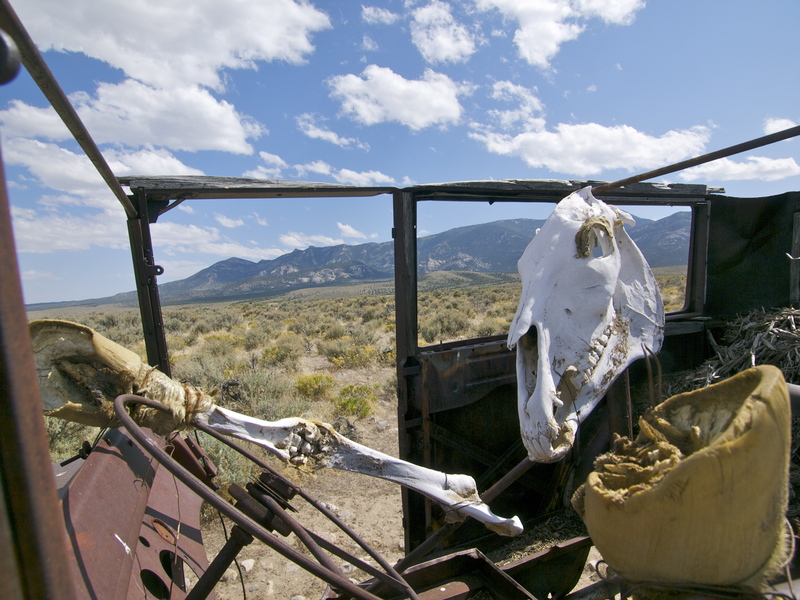 Nevada is actually one of my favorite places is the states… I have had many a meal next to the ghost rider, and have seen him in many a bony manifestation (he had a spine once, and has new hoofs these days). The Basin and Range induces the most welcomed meditative driving. We were ships in the night by a few days.